When I lived in New York I never really got to grips with the TV ‘news’. The nightly round-up made the Dundee Courier’s mythical front page for the Titanic disaster – Dundee Man Lost At Sea: Giant Turnip Found in Forres – seem like universal insight. The square-jawed anchormen and professionally-perfect women did cover international events. But only from some place called ‘Eye-Rack’ where U.S. soldiers seemingly went on holiday. Otherwise, reports tended towards the ‘Brooklyn Woman Stubs Toe’ variety. Sometimes, a gaggle of folks from poorer neighbourhoods would be featured. Maybe an overhead electric cable had fallen or they’d seen Jesus up a tree. Occasionally, there’d be a murder. But it was always some young black guy shooting another young black guy. So, for a bit of perspective and patriotism, I still got my daily news from The Scotsman online. And that was the problem. You always assume that where you come from is ‘normal’. You like to think that Scotland is a nice, peaceful, civilised society while America is full of gung-ho, gun-toting maniacs. Yet midtown Manhattan itself is so thoroughly policed it’s one of the safest places on the planet. Admittedly, when you go uptown, past Uptown, the city seems more dangerous – partly because it is, but mostly because you feel like what you are: a pasty-faced, out-of-place, north European. But, viewed from afar, Scotland began to look scarier than any ‘hood. And, compared to the New York gangbangers’ lack of imagination in simply blasting each other, Scotland’s killers began to look weird, as well as lethal. You would read about the body in the suitcase in the Water of Leith, and wonder if it were suicide. But there’s really nothing funny about any time ‘there’s been a murder’ in Scotland. The young mum battered with a brick, raped and strangled on a lonely canal path. The missing wife. The teenage girl’s head cut off with a knife. The bank manager inexplicably shot on his doorstep. The dismembered body. The kid’s throat cut for wearing a football strip. The woman who vanished on her way to work. There’s only terror and heart-ache for all involved, and a huge headache for public services. 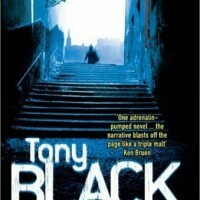 But you can understand why there’s been an upsurge in ‘tartan noir’ crime fiction. The contrast between the traditional probity of our national character and the grime and hypocrisy of the seedier side of Scottish society creates the perfect impetus for a gruesome whodunnit. You might even begin to wonder if there were some truth in right wing U.S. religionist Pat Robertson’s description of Scotland as a ‘dark land’. Is there something black and murderous that seeps out of the climatic gloom and into our suppressed Presbyterian psyche? Something that makes freaky-deaky killings, crimes of passion, professional hits and whacko misadventures more likely? Certainly, Scotland’s murder rate has risen dramatically over the past century. In the 1930s, at the height of the last Depression, there were about 50 homicides a year in Scotland. The rate didn’t begin to rise until the 1960s, and rose fast – peaking in the mid-1990s and again in 2005 at around 140 deaths. The media reports were painful too. Scotland was branded as ‘The Most Violent Society’ in the developed world (BBC, 18 Sept 2005) and ‘Britain’s Murder Capital’ (Telegraph, 13 Dec. 2010). The reality is somewhat different. Forget the murky world of fictional DIs and Private Eyes, or the lurid, sensational stories that hit the front pages. Far from twisted tales of serial killers and psychos, the statistics tell a story which is almost boring in its predictability. But I hope the conclusion will still be shocking. Our murder rate is about one third that of New York. In the Big (bad) Apple, there are about 60 murders per million people. About three-quarters of those slayings really are young black guys shooting each other – and about 40% of the killings take place in Brooklyn. In Scotland, there are less than 20 murders per million people. The main culprits are young underprivileged guys, most likely stabbing other young underprivileged guys. (16-20 year old men are six times more likely to be accused than the national average.) And over half of our killings take place in Strathclyde. So, you probably don’t need a 20-year study of violence across 91 of America’s largest cities to spot what’s similar about New York and Glasgow. Bigger cities are more violent. Poorer areas are more violent. Unfairer societies are more violent. ‘Structural disadvantage’ along with ‘gang presence’ help create the conditions in which young guys from deprived areas kill each other. What’s different, of course, is that we have blades instead of bullets. Knives remain our most popular method of murder. Stabbings are three times more common than the ancient Scottish martial art of fuk-yu – which mostly consists of hitting and kicking, and jumping on someone’s head while they are on the ground. Fortunately, our ne’er-do-wells don’t have ‘firearm availability’ – or they might do better at killing each other. Only about 1-in-7 attempted murders in Scotland are successful. When you include less serious assaults with a blade, perhaps only 3% of all stab victims end up on a slab. The other 97% are stitched back together by our over-stretched NHS. Last year, homicides fell to around 80 deaths, the lowest rate in a decade, and we could all drink to that. Except that our old friend alcohol is still implicated in about half of all killings. And, where the perpetrator is drunk, the victim usually is too. Surprised you are not. I was mystified, though, to find that Sunday is the most dangerous day of the week. Until it struck me that Sunday is also anytime after midnight on Saturday. Usually, victim and murderer know each other too. Usually, they’re in a house or flat together. And usually, there’s an angry exchange – argument, fight, feud, jealousy, leading to rage… So, you can guess the scenario for a typical Scottish murder. Young eejits – from chaotic homes on rough estates – get together to get sozzled on a Saturday night. The drinking buddies fall out, at home, after midnight, and one of them pulls out a knife. End of story. Obviously, the chances of someone dying are much higher than any of us winning the Golden Dagger Award for crime writing. But here’s the chilling thing. If you live in one of the bottom 20% of Scottish socio-economic areas, you are over 30 times more likely to die from assault than if you live in one of the top 20%. And yet murder is just the tiny tip of a very large iceberg of violence in Scottish society. Homicide represents about 0.1% of non-sexual violent crimes. Last year, according the Scottish Government’s Statistical Bulletin on Homicide in Scotland 2009-2010, the police recorded around 78,000 serious and minor assaults. 99.9% of criminal violence in Scotland does not end in death. Consistently in recent years, we’ve had about 1000 assaults for every killing. So, we can think of murder as a subset of attempted murder, which is a subset of serious assault, which is a subset of all assaults. Even then, research with young people shows that there’s a massive background radiation of violence which they do not even regard as illegal. What are young people scared of? The slagging, stalking, playground-fighting, name-calling and ostracising, verbal threats, intimidation and bullying which they see as a normal, albeit painful, part of everyday life. So, here’s the real shock ending. Our murder rate grows – not just from the flashpoints which poverty provides – but from a widespread culture of low-level, persistent niggling and negativity. Where mutual support and self-respect are in short supply, nastiness thrives. Unless we tackle the underlying fear, young people in underprivileged areas will still be tempted to carry knives. It’s self-protection and a terrible self-fulfilling prophecy, all rolled into one.